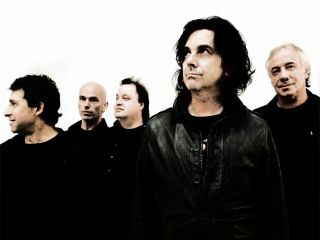 British rockers Marillion have announced plans to release their upcoming album as a free download. Fans who wish to access Happiness Is The Road online will be able to do so via peer-to-peer file sharing sites, although the album will still be released in CD format on 20 October. The band are widely considered to be one of the first members of the mainstream to have embraced the possibilities of the internet positively, digitally interacting with fans as early as 1996. Mark Kelly, keyboardist for Marillion since 1981, told BBC News that the band are well aware of the effect that downloading has had on the music industry. Nevertheless, he admits that "up until recently we've felt fairly immune to that because the fans have been really supportive of the band and, I suppose, because of the age demographic, they do tend to prefer CDs to download." He's definitely got a point. The first song, Whatever Is Wrong With You, will be released on iTunes on 1 October.